The Jerusalem District Court, on Monday, convicted two of the three people accused in the murder of Muhammad Abu Khdeir. On July 2, 2014, Abu Khdeir, 16, was murdered by tree Israeli men in the neighborhood of Shuafat, in occupied East Jerusalem close to his home. He was driven to the Jerusalem Forest, where he was beaten and burned alive by his kidnappers. The Israeli Defense Minister has officially recognized him as “a victim of terror”, granting his family compensation rights. According to the PNN, three Israeli Jews were standing trial for the murder – Ben-David, 31, and two minors who haven’t been named. Both minors blamed Ben-David for planning the murder of Abu Khdeir and exerting heavy pressure on them to participate. They accused Ben-David of giving them pills and energy drinks in the hours before the murder, as stated by Haaretz. 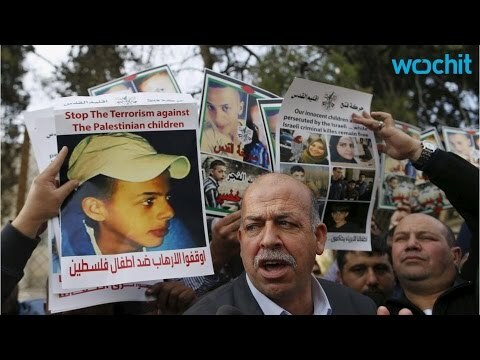 During the trial, one of the minor’s had taken the stand and said “he never dreamed” that they were going to kill Abu Khdeir, trying to place all of the blame for the murder on Ben-David. The minor said that Ben-David was “like my father” and that he felt compelled to follow his lead, as reported by the Jerusalem Post. Abu Khdeir’s father called the minor a “liar” in response to his testimony. According to Haaretz, Yosef Haim Ben-David, the main defendant, submitted last-minute psychiatric evaluation that claimed he was not responsible for his actions. However, the Israeli court said that there is enough evidence to convict Ben-David. The judges ordered the psychiatric evaluation, which was written in English by an Israeli psychiatrist, to be translated to Hebrew on Monday. Ben-David had reportedly undergone psychiatric treatment in the past, in connection with another incident in which he attempted to strangle his own infant daughter. Until now, only the two minors were considered guilty. The court is expected to consider the plea of Ben-David on December 20. The prosecution claimed during the deliberations that Ben-David was responsible for his actions and fit to stand trial. They presented the court evidence, including videos, showing Ben-David alert and fully aware of what was happening, as reported by Haaretz. Hossein Abu Khdeir, Mohammed’s father, said after the reading of the verdict that Ben-David was trying to mislead the court. “There is no justice,” he said. Abu Khdeir’s parents attended every court session and expressed regular dissatisfaction with the lengthy delays in the legal process.